Bollards are an ideal solution for sites where there isn’t room for gates and barriers, and where the aesthetics are important whilst retaining a high level of security. The bollards lower into the ground until they leave a flush surface. Many high security sites will use these in addition to security gates to act as an additional deterrent to vehicles ramming the equipment. All automated bollards can be operated with similar access control to that which is used with electric gates, such as handheld transmitters, intercoms and entry/exit loops. Although bollards can be used at residential properties, it is predominantly commercial premises which benefit from their added security. Bollards are ideal either installed as their own entity, or installed in front of security gates to provide an extra layer of protection. 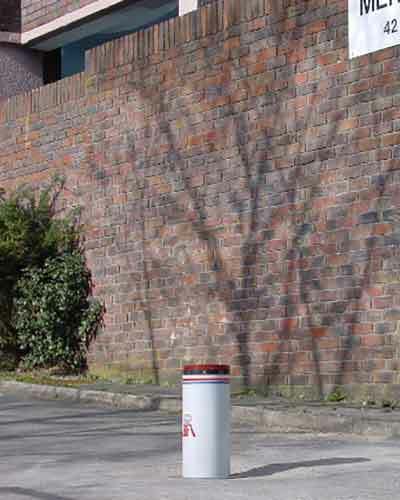 We offer a wide variety of bollards, and will provide a quotation depending on your exact requirements and location of the installation. In addition to the limited number detailed below, we can provide both larger and smaller options, and even bollards with anti-terrorist protection rating. The bollards detailed below are just a small selection of the solutions available to you - Please contact us if you would like more information or to arrange a free, no-obligation site survey.